The judgment of Master McCloud in Dring v Cape Distribution Ltd & Anor (Constitution – access to courts – open justice)  EWHC 3154 (QB) considers the issue of whether the public should have access to documents disclosed during the course of court proceedings. Perhaps the most important point of general importance is that litigants have to be told that documents they disclose at trial could become subject to public disclosure. The applicant sought disclosure of documents that considered what was known, and when, about the product safety of asbestos. The disclosure process involved putting together of extensive quantities or historic material and records relating to asbestos safety and regulation. (b) a judgment or order given or made in public (whether made at a hearing or without a hearing), subject to paragraph (1B). may be inspected without the court’s permission . “This summary is provided to assist the reader. The main text of judgment prevails in the event of any inconsistency between the summary and the body of the judgment. The right of access to court is inherent in the rule of law. Openness of justice fosters the scrutiny of the courts by the public, protects the integrity of the court process and assists the development of the law and legal knowledge. It thereby supports the practical effectiveness of the right of access to court. The courts do not merely provide a public service to the ‘users’ who appear before them. Previous cases form the basis of the advice given to those whose cases are now before the courts, or who need to be advised as to the basis on which their claim might fairly be settled, or who need to be advised that their case is hopeless. Access to a court, being not merely the provision of a service to ‘users’ entails that the parties submitting to the jurisdiction do not have full sovereignty to determine simply by private agreement between themselves the extent to which the public may be made aware of any aspect of the proceedings before the court. There is an inherent and foreseeable possibility that material deployed in court by the parties, or filed upon the records of the court as part of its process, will form part of the corpus of material which may be deployed in other cases, used for the purposes of legal advice, being academically or journalistically discussed, or considered by Parliament. CPR rule 5.4C is the primary means by which the court’s common law power to allow access to documents to the public from the court record is administered but the common law is the master and not the servant of the rules. The rules provide a qualified and controlled system of openness regulated by the court rules in a judicial manner. Where documents are filed on the record of the court then they fall within the scope of CPR 5.4C(2). Served documents not on the records of the court do not fall within rule 5.4C but may be disclosed under the court’s common law power. Documents filed on the record of the court and which are read or treated as read in court are subject to a default position in favour of the principle of open justice if the applicant has a legitimate interest. Where the applicant has a legitimate interest then the court must still carry out a balancing exercise in relation to any harm to other parties legitimate interests when deciding whether to allow access. Documents on the records of the court which are not read or treated as read are subject to a more stringent test namely that there must be strong grounds for thinking that access is necessary in the interests of justice. The principle of open justice is engaged notwithstanding that a case settles before judgment. It applies to documents in such a case which have been read to or by the court, treated as so read, or which “have featured in” the proceedings. Bundles which have been filed are part of the records of the court. ‘Bundle D’ in this case does not amount to a bundle filed at court. The paper bundles do fall to be treated as filed. The paper documents other than the bundles were retained in court at the end of trial and held together with the court files, and became documents filed on the records of the court, alternatively the documents other than those in the bundles fall within the court’s general discretion as to access. They were deployed in court and placed before the judge including after he retired to consider his decision. They were subject to what Lord Justice Toulson referred to as the ‘default position’ that access should be given on the open justice principle. The residue of bundle D not already contained in the paper bundles is material which falls outside the scope of the default principle of openness. There is a power to order disclosure of bundle D under the common law jurisdiction of the court, but I do not exercise those powers here. A legitimate interest can include academic interest, use by a pressure group or use in some journalistic form and indeed any number of other uses which are ulterior (in the proper sense of that word) without being illegitimate. Mr Dring acts for a group which provides help and support to asbestos victims. It some respects it is also a pressure group and is involved in lobbying and in promoting asbestos knowledge and safety. Those are legitimate activities and provide legitimate interest. • improve the understanding of the genesis and legitimacy of TDN13 and any industry lobbying leading to it in the 1960s and 1970s. • to assist court claims and the provision of advice to asbestos disease sufferers. The degree of specificity which is possible in an application under rule 5.4C must necessarily be limited in practical terms by the fact that without seeing the documents in the first place the best that can be expected so as to assist the court is that general categories of documents be identified unless there is a particular identified document which known about and is sought. (iv) All documents disclosed by Cape and other parties. iv. 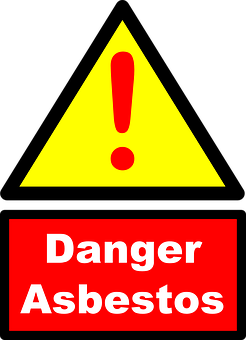 is likely to be relevant to the extent to which employer defendants could have been expected to appreciate the risks of asbestos. Partial access to the documents could lead to ‘cherry picking’ in terms of the publishing of negative material especially if access was only given to material which paints asbestos, and perhaps Cape in a bad light. There is a risk, but a much reduced risk, of cherry picking if access is given less selectively and more rather than less widely. A requirement for special circumstances is desirable in the case of disclosure documents served but not deployed at trial, in this instance bundle D, to ensure that non-parties are not placed in a better position than parties in relation to unused but served disclosure material. I do not consider that grounds have been made out for disclosure in relation to bundle D.
I was not presented with substantial evidence or argument from Cape as to harm to it would suffer from disclosure, at the level of particular documents or classes of document within the paper files. I do not regard the post hoc concerns now raised by Cape about the privacy of persons named in the documents in connection with asbestos related disease as a ground for refusing public disclosure of these documents as a credible or weighty one in this instance. vi. Statements of case to include requests for further information and answers if contained in the bundles relied on at trial. In formal terms I am therefore allowing the application in relation to document classes (i) to (iii) listed in the statement of Ms Bains dated 6 April 2017 but only partially allowing disclosure of documents in category (iv). I am also allowing disclosure of certain other documents as is apparent from the list just set out. I am excluding from disclosure the contents of bundle D for reasons already given. I am also excluding copies of the disclosure statements of the parties because that would tend to undermine (by giving disclosure by indirect means) the decision I have made that bundle D is not disclosed. The Applicant may return to court to seek a decision as to access in respect of any documents in bundle D which it appears upon consideration were omitted from the paper bundles, yet were in fact relied on at court (this ought to be apparent from the documents for which access has been given as above). Bundle D shall remain impounded in court. The documents subject to disclosure to Mr Dring shall therefore be made available by the court to the Applicant’s solicitor as an officer of the court for copying or scanning upon the giving of an undertaking that documents not within the scope of this order, if contained in the files, will not be copied.